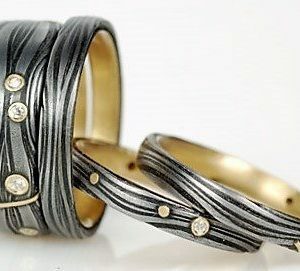 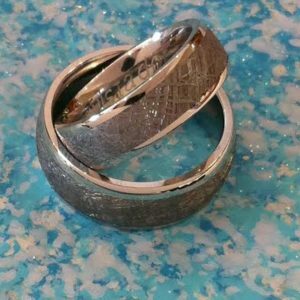 Rings Unique specializes in unique matching wedding rings for couples, two rings that have the same design, texture and harmony. 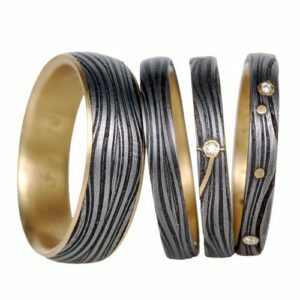 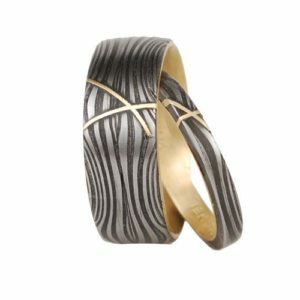 Select rings in today’s top-of- the-line alternate metals. 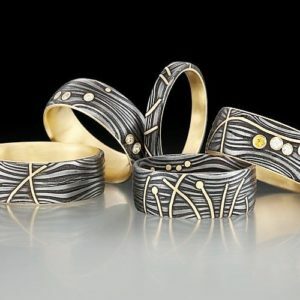 These metals are innovations of materials used in commercial applications in the past 10-20 years. 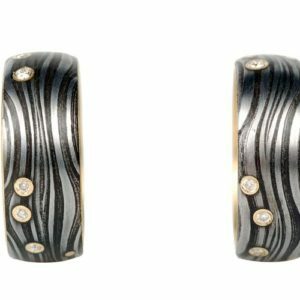 They are very strong and can include Damascus Steel, Zirconium and the Gibeon Meteorite which has been dated to be over 4.5B years old. 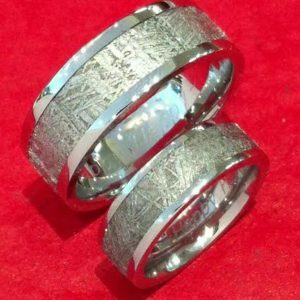 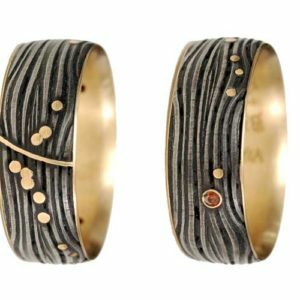 Unique matching wedding rings for couples are a daily reminder of a relationship with another, the most important journey on earth.